November 8, 2016 - Taipei Taiwan - GlacialTech, the diversified lighting and thermal solution provider and innovator, is today pleased to announce two efficient new heat pipe-equipped heatsinks suitable for high wattage LED bay light applications from 200W to 350W: the Igloo SR250HP-3 and the Igloo SR350HP-3. 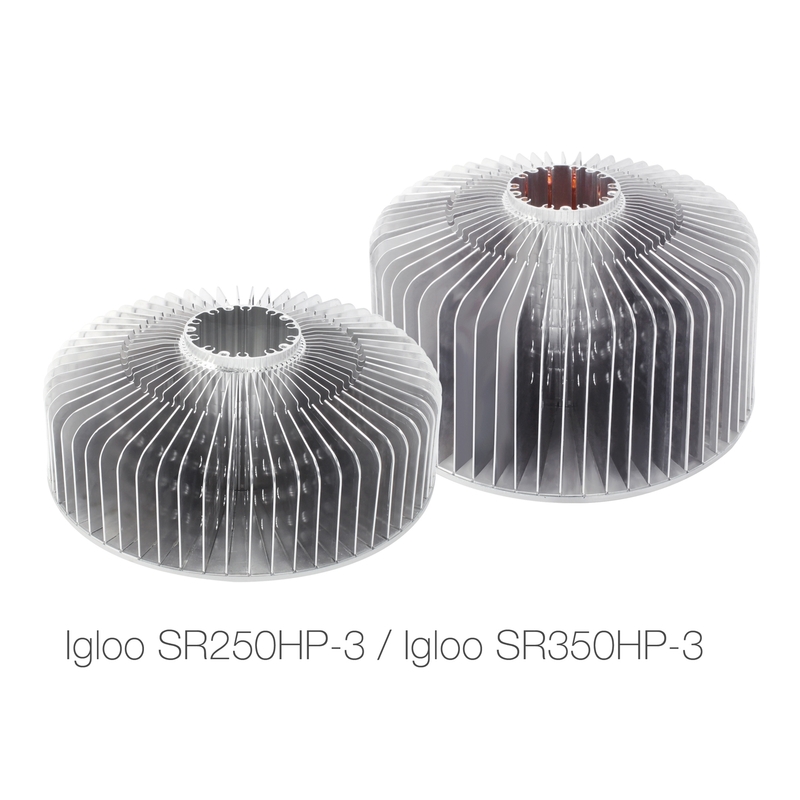 These lightweight aluminum heatsinks are manufactured using a stamping process which allows them to achieve superb thermal performance of 0.1125 °C/W thermal resistance for the Igloo SR350HP-3, and 0.1663 °C/W for the Igloo SR250HP-3. Their design, enhanced with integral heat pipes, achieves significantly better thermal efficiency than standard heatsinks. GlacialTech’s efficient and accurate stamping and bonding manufacturing process results in heatsinks that can provide high performance cooling at a very cost effective price, by maximizing surface area while still maintaining a light weight and structural strength. Thanks to their thermal and weight characteristics, these efficient heatsinks are ideal for bay light applications up to 200-250W (SR250HP-3) or 300-350W (SR350HP-3). Compared to less sophisticated products, these new heatsinks can cut energy costs by keeping temperatures low to enhance LED efficiency, reduce heat pollution, and, in the long term, prolong LED and driver life by safely removing harmful thermal energy that gradually damages components. In addition, the attractive, durable silver finish and anode surface treatment also help assure a long and trouble-free life for these products. The heat pipe cooling incorporated in the Igloo SR250HP-3 and Igloo SR350HP-3 models helps to more efficiently cool the small surface area of CoB LEDs. The heat pipes situated in the base of the heatsink efficiently absorb the heat generated by the LED, and carry that heat up and away from the thermally-sensitive LED module, and finally dissipate and radiate the unwanted thermal energy into the surrounding air. Heat pipes are a totally self-contained cooling system that does not require any maintenance. For ease of use, the location of the heat pipes is marked on the base of the heatsink to help users avoid them while installing lenses or other accessories, in order to prevent damage or localized hot spots. 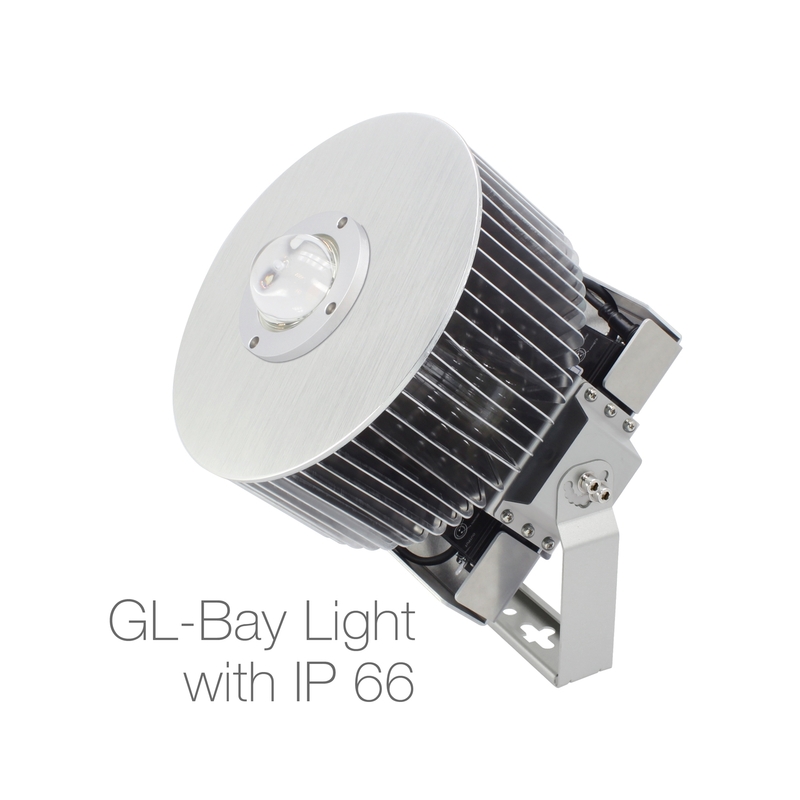 In addition, GlacialTech also offers a bay light knock down kit that incorporates these new heatsinks. This set of easy-to-assemble bay light components includes a power box for housing the LED driver, plus a bracket and lampshade. This semi-knock-down kit (SKD) allows lighting system integrators to easily assemble a custom lighting solution that makes best use of the LED modules and drivers of their choice. GlacialTech Inc. is a diversified provider of thermal, power, optics and systems solutions, with many years of experience in thermal module design and manufacturing for internationally renowned brands including Acer, AdvanTech, Fujitsu Siemens Computers GmbH, Panasonic and Siemens AG. GlacialTech's product solutions attain an optimal balance of performance and value. For more information about GlacialTech thermal technology, please visit at www.GlacialTech.com or visit us on Facebook at www.facebook.com/GlacialTech/.